Most diabetes drugs cause us to gain weight. But those in the rather new class of drugs called GLP-1 inhibitors actually lead to weight loss. People with type 2 diabetes take these drugs by injection. Insulin, the drug that people with type 1 have to inject to manage their diabetes, is notorious for leading to weight gain. Clinical trial studies show that people with diabetes who take one of these new GLP-1 drugs generally loose weight. I know that they help us lose weight because I lost so much weight myself when my doctor switched me from the older drugs. I made the big switch on December 5, 2007, when I finally accepted that I had to do something to manage my weight. At that time I weighed 312 pounds and had a body mass index, or BMI, of 39, which is well into the obese range. My blood sugar had been just a little higher than normal a few days earlier when I had my A1C level checked. A normal A1C level, the gold standard of diabetes control, is certainly below 6.0, and mine was 6.2. Almost two years later on December 5, 2007, the GLP-1 drug I was taking had clearly worked for me. My weight was down to 168 so that my BMI was 21.0, well in the normal range. My A1C had dropped to a most satisfactory level of 5.3. I was so excited at my success in managing my weight and blood sugar that I persuaded a major diabetes publisher to put out my second book about diabetes. 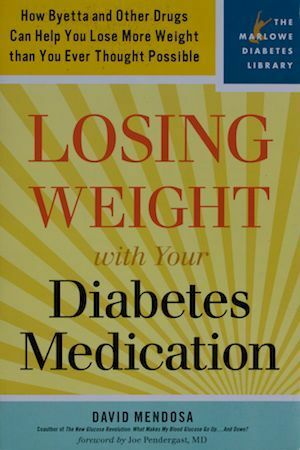 Losing Weight with Your Diabetes Medication came out in early 2008. But by then I stopped taking any diabetes medication. Why would anyone do that? I knew that I still had to control my weight and my blood sugar and that GLP-1 inhibitors do that very well. But I also knew of one other way to accomplish the same goals. That way is a very low-carb diet. I stopped injecting the diabetes drug not because I had to inject it, usually into my stomach. In the years that I injected it I don’t remember one time when it hurt. 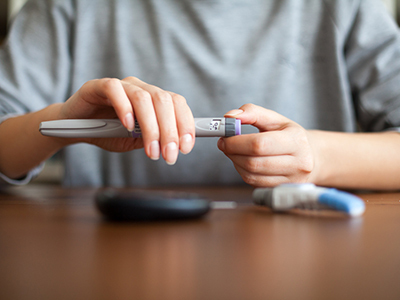 Testing our blood sugar on our finger tips can be painful because we have so many nerve ending there, but we have few nerve endings in our stomach. No, the only reason why I stopped is because I know that any drug has side effects. Mostly they are easily manageable, like the nausea that most people experience when they start taking a GLP-1 inhibitor. But sometimes years can pass before our scientists discover serious but rare side effects from the drugs they develop. I just didn’t want to take that chance. So when I stopped injecting my diabetes drug almost seven years ago, I began to manage my weight and my blood sugar with a very low-carb diet. In all the time since then I have lost only about 10 more pounds and my A1C has stayed down at the same level as it had been. Of course, I didn’t want or need for these levels to go any lower. Although I have been happy to continue to avoid most foods that are high in carbohydrates, particularly grains and sugar from sucrose and fructose, for most people this isn’t easy. Injecting one of the GLP-1 inhibitors on a regular basis is much easier to sustain over the years. These are the major pros and cons of the two best ways for those of us who have diabetes to manage our weight and blood sugar. It’s your call. Low-Carb vs. Low-Fat: What's Best?